The British Virgin Islands have long been a favorite Caribbean vacationing spot for sailors all over the world. Their visitors will find all the best of tropical vacationing. The BVIs are comprised of over forty islands and have hundreds of spectacular anchorages. Its calm waters make it one of the easiest places in the world to sail, so it’s a fantastic place for beginners to learn. English is the spoken language there, and the currency they use is the US dollar. That makes it one of greatest cruising places for American citizens to visit and be able to blend in with the locals. Zanzibar is the treasure of Eastern Africa. This Tanzanian archipelago has gorgeous turquoise waters that outline the white sandy beaches and lush greenery. Sailors can anchor their boats and make their way inland to explore the wondrous Unguja. 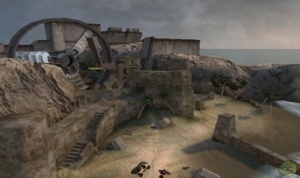 This stone city hosts a variety of different religious and cultural influences and architecture. There’s so much to do there, like touring the palace of a former sultan, swimming with dolphins, and scuba diving to see amazing sea turtles in action. 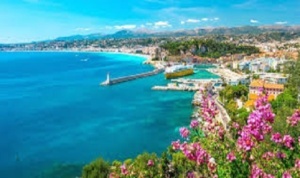 Referred to as the “New Greece” this country is formed by hundreds of islands that are a mix of trendsetting luxurious beachfront resorts and ancient world charm. With hundreds of pristine beaches lined by the Adriatic sea, it’s no wonder Croatia is such a huge hit with boaters. Inland there is an abundance of castles to tour, museums to visit, and the Dinaric Alps to hike. 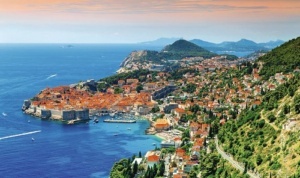 Yacht owners may like to spend time with other high rollers on the glamorous island of Hvar. Cruisers are looking for simpler; perfect cruising places can check out the more rural island groups of Elafiti and Kornati. 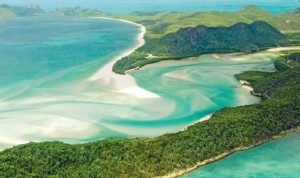 Seventy-four Islands make up the Whitsunday Islands of Australia. These incredible islands located off the Earth’s only country-continent near Queensland. One of the reasons this spot is one of the most popular cruising places of all time is the outstanding diving experience to be had on the Great Barrier Reef. Colorful fish, living coral, and sea turtles abound in this underwater playground. The views aren’t just fantastic under the water either. Coming out of the surrounding waters are spectacular green, lush mountains just waiting to photographed. The locals are helpful and friendly, and there is always something there to make everyone happy. 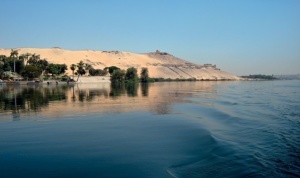 The Nile River has just as much appeal today as it did back in the time of Cleopatra. People are now choosing to forego hoity-toity cruise ships and take smaller vessels to see this ancient river for good reasons. Some water lovers will appreciate renting a felucca, which is very similar to a traditional canvas sailboat. Since they are smaller and powered by the wind, the boat can spend more time sailing and passengers can spend more time enjoying the gorgeous views of the world’s longest river. The more small vessels can skip the crowds and visit some of the tiny islands that the cruise ships have to skip. As passengers sail through the lands of the pyramids, they can stop to take pictures or buy some souvenirs from local merchants. These Ecuadorian Islands are the famous ones from Darwin’s studies on natural selection. Their bird watchers will be right at home taking in the natural wonders. Passengers can spend the day in Attenborough to see beach-goers of a whole different kind. The shore is often visited by sea lions, giant tortoises, iguanas, and more. For those looking for adventure, there’s also volcanic exploration tours where tourists can get quite steamy investigating a live volcano up close and personally. The Greek Islands may be a top priority for sailors hoping to ditch inclement weather and soak up the sun. The Greek Islands have famously good weather year-round. 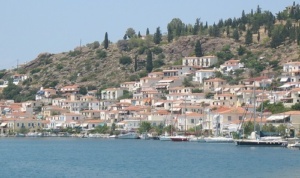 Over six thousand islands and islets surround Greece in its Ionian and Aegean Seas with only two hundred twenty-seven of them being populated. For sailors looking for peace and quiet, they will certainly find tranquility on the tiny uninhabited beaches. For those who want to party in the white and blue atmosphere of Greece, Mykonos is ready with world-class nightlife. Sailors should have experienced before attempting to navigate through the islands since the northeasterly wind can strike hard during summer months and may be too much for a beginner to handle. When making the list of upcoming priority cruising places, the Greek Islands certainly deserve to be on it. French Polynesia is the stuff tropical sunset postcards are made of. Depending on the island and the beach, the waters can be placed and turquoise or dark blue and wavy. Sailors can do a little research to see which islands would be their ideal spot for fishing, sailing, shopping, or surfing. The center of the Pacific Ocean is an absolute paradise of palm trees, abundant food, and relaxation. New Zealand is quickly gaining popularity among boaters from all over the world. New Zealand itself is an island nation where sailing is a huge industry. If ever while cruising the Pacific a captain sees he needs something for his vessel, NZ is one of the best cruising places to stop. 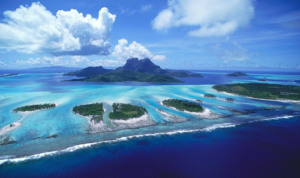 It’s also home to one hundred fifty unpopulated islands for those who like an adventure. They have plenty for boaters looking for relaxation in the lap of luxury too. Paihia can offer guests a cushy atmosphere, but keep in mind how crowded it can be during summertime and plan in advance.